On May 15, 2017, President Trump nominated Neil Chatterjee and Robert Powelson to serve as Federal Energy Regulatory Commission (FERC) Commissioners, which – if confirmed by the U.S. Senate – would restore the quorum lost on February 3, 2017, following the resignation of former Chairman Norman Bay. The nominees would fill commissioner positions that expire in 2021 and 2020, respectively. Mr. Chatterjee has served as Senate Majority Leader Mitch McConnell’s energy policy advisor since 2009. He previously worked for the National Rural Electric Cooperative Association for two years. Mr. Powelson is currently Chairman of the Pennsylvania Public Utility Commission, where he began serving as a Commissioner in 2008. He also serves as President of the National Association of Regulatory Utility Commissioners. On May 25, 2017, the Senate Committee on Energy and Natural Resources held a confirmation hearing for both nominees. A Committee vote can be expected after the Senate reconvenes on June 6, following the Memorial Day recess. However, it is not clear when the nominations, if approved by the Committee, would be voted on by the full Senate. On Wednesday, May 3, 2017, the U.S. House of Representatives Committee on Natural Resources, Subcommittee on Water, Power and Oceans held an oversight hearing titled: The Challenges of Keeping Hydropower Affordable and Opportunities for New Development. Witnesses included Robert Gallo, President and CEO of Voith Hydropower Inc.; Herbie Johnson, General Manager of hydropower operations for Southern Company and President of the National Hydropower Association (NHA); Randy Howard, General Manager of the Northern California Power Agency; David Montagne, Executive Vice President and General Manager of the Sabine River Authority of Texas; George Lapointe, Owner of George Lapointe Consulting; and Raymond Pierre III, Vice Chairman of the Kalispel Tribe of Indians. The Subcommittee’s post-hearing press release emphasized calls by the witnesses for reforms to streamline relicensing and incentivize new development. Also on May 3, the Subcommittee on Energy of the House Energy and Commerce Committee held a legislative hearing titled: Legislation Addressing Pipeline and Hydropower Infrastructure Modernization. 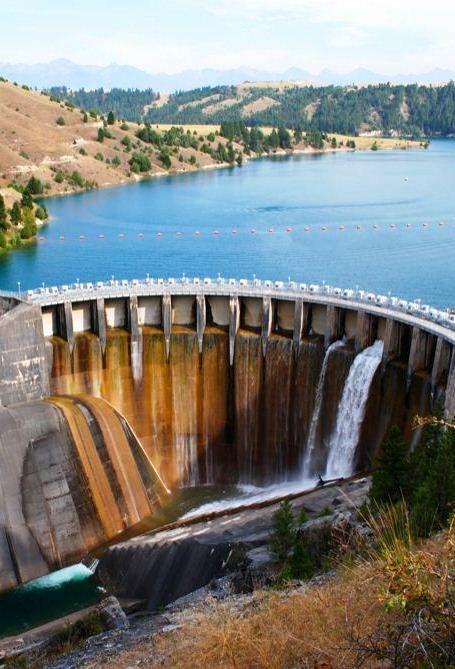 The hearing considered several discussion drafts of hydropower focused legislation, including legislation promoting hydropower development at existing non-powered dams, closed loop pumped storage projects, and small conduit hydropower facilities, and to reform the licensing process. Among other witnesses, NHA Deputy Executive Director Jeff Leahey testified concerning hydropower’s multiple benefits, the need for relicensing reform, and potential for new hydropower development. On May 19, 2017, a panel of the U.S. Court of Appeals for the Ninth Circuit denied a petition for rehearing by the panel and by the full court in an action in which the panel affirmed a U.S. District Court’s injunction directing the State of Washington to remediate as many as a thousand culverts under state roads at a cost estimated to exceed a billion dollars. The District Court found that the culverts impair access to habitat for salmon and thereby reduce the amount of harvestable salmon in derogation of the treaty rights of Indian tribes that filed the lawsuit. Numerous judges from the full court vigorously dissented from the panel’s May 19 ruling. The dissenters argued, among other things, that the panel’s opinion ignored Supreme Court precedent by creating a new affirmative duty on the State to ensure a certain quantity of fish for the tribes. They also charged that the panel’s reasoning established a boundless standard for treaty compliance – preventing habitat degradation – that is so broad as to provide a precedent for a treaty right-based challenge to any activity throughout the Pacific Northwest that adversely affects habitat for salmon to which the tribes have a treaty right, including existing dams and a wide array of other developmental activity. The State has not yet indicated whether it plans to file a writ of certiorari with the U.S. Supreme Court to challenge the Ninth Circuit’s decision. On May 23, 2017 in Delaware Riverkeeper Network v. FERC, the U.S. Court of Appeals for the District of Columbia Circuit affirmed FERC’s issuance of a conditional certificate of public convenience and necessity for a natural gas pipeline under Section 7 of the Natural Gas Act prior to issuance of a required water quality certification (WQC) under Clean Water Act Section 401. Section 401 provides that an application for a federal license that may result in a discharge into navigable waters must first obtain a WQC from the state in which the discharge will occur or a waiver of certification. The Delaware Riverkeeper Network argued that FERC violated Section 401 because it issued its pipeline certificate while the pipeline company’s WQC application was pending. The court rejected this argument because FERC’s conditional certificate prohibited any activity which might result in a discharge into navigable waters until the WQC was issued. FERC also issued letter orders which permitted pre-construction tree felling for the gas pipeline before issuance of the WQC, but the court found no violation in that regard because the tree-felling would not result in any discharge into navigable waters. Although FERC does not issue conditional licenses for conventional hydroelectric projects, its policy is to issue such licenses for hydrokinetic projects in order to encourage innovative project proposals. The conditional licensing policy for hydrokinetic pilot projects applies not only to issuance of WQCs, but also to other approvals, including those required by the Coastal Zone Management Act and the Endangered Species Act. The reasoning employed by the court in Delaware Riverkeeper v. FERC may be extended to conditional licenses for hydrokinetic projects. On May 1, 2017, the U.S. House of Representatives Appropriations Committee released the fiscal year 2017 Omnibus Appropriations bill. On May 5, President Trump signed the bill, which provides discretionary funding for the federal government through September 30, 2017, the end of the current fiscal year. Although the legislation cuts renewable energy programs by $808 million, the U.S. Department of Energy’s (DOE) Water Power Technologies Office (WPTO) received an increase to $84 million, with $59 million directed to marine and hydrokinetic technology research and development and $25 million directed to hydropower/pumped storage activities. The $25 million appropriation includes a record $6.6 million for hydropower production incentives (HPI) under Section 242 of the Energy Policy Act of 2005. The HPI allows a facility to collect 1.8 cents per kilowatt hour, with a cap of $750,000 per year, for up to ten years for new hydropower production. DOE has issued Guidance describing the types of production it considers to be “new” production and the information necessary to demonstrate adequate metering of generation. The Guidance provides that increases in production from maintenance activities, such as replacing turbine runners or updating control software, do not qualify. The net energy generated and sold must be measured by a metering device sensor that: (a) meets generally accepted industry standards; (b) is properly maintained according to the manufacturer’s instructions; and (c) is calibrated according to generally accepted industry standards. The recent spillway failure at Lake Oroville has prompted FERC to require licensees of projects with concrete chute spillways and unlined spillways at high and significant hazard dams to complete detail Potential Failure Mode Analysis assessments of their spillways by December 31, 2017. As part of the spillway assessment, FERC is requiring a detailed review of all design, construction, inspection, foundation information, and monitoring documentation available for the spillways, and close visual inspections of the entire spillways. Affected licensees are required to submit a plan and schedule to complete the assessment by June 1, 2017.